Merthyr Tydfil (; Welsh: Merthyr Tudful [ˈmɛrθɨr ˈtɨdvɨ̞l]) is a large town in Wales, with a population of about 63,546, situated approximately 23 miles (37 km) north of Cardiff. 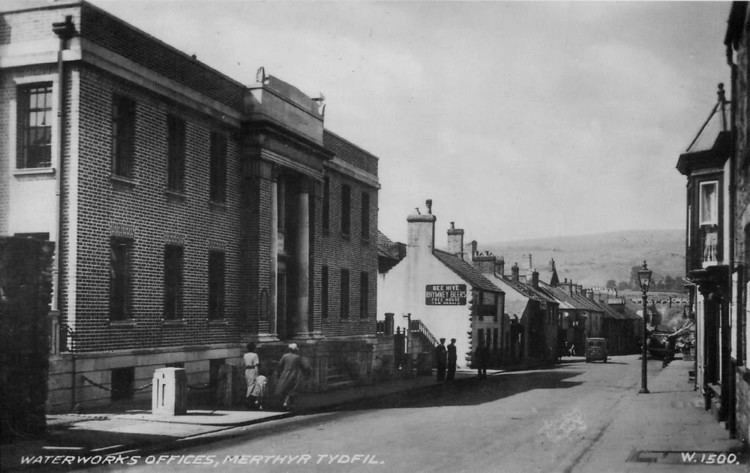 At one time the largest town in Wales, Merthyr Tydfil is today the country's fourth largest urban area by population. 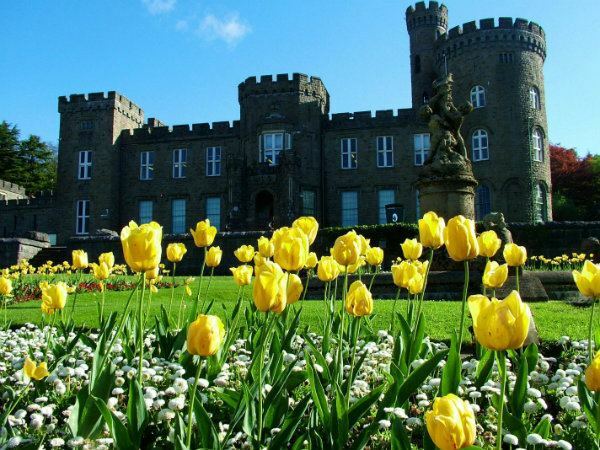 Situated in the historic county of Glamorgan, it is the main town in Merthyr Tydfil County Borough and is administered by Merthyr Tydfil County Borough Council. Both the town and the county borough are often referred to as simply 'Merthyr'. According to legend, the town is named after Saint Tydfil, a daughter of King Brychan of Brycheiniog. According to her legend, she was slain at Merthyr by pagans around 480; the place was subsequently named Merthyr Tydfil in her honour. Although merthyr generally means "martyr" in modern Welsh, the meaning here is closer to the Latin martyrium: the mausoleum or church built over the relics of a martyr. 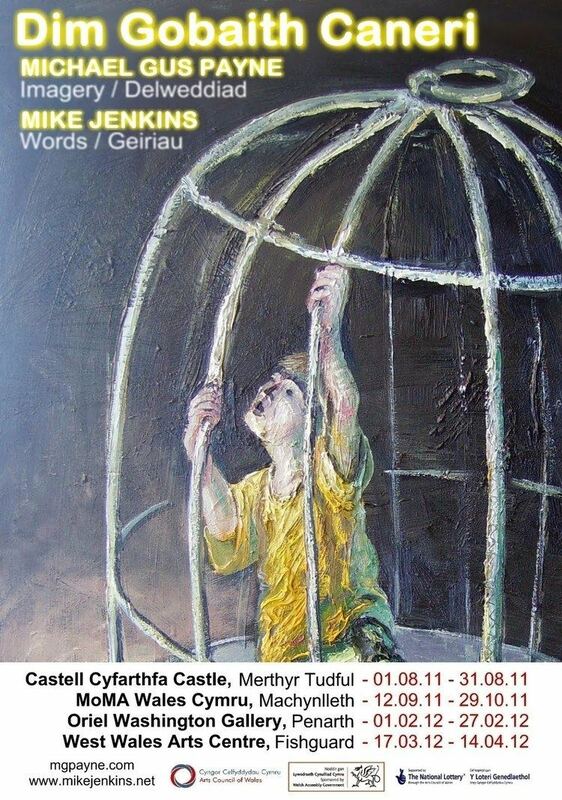 Similar examples, all from south Wales, include Merthyr Cynog, Merthyr Dyfan and Merthyr Mawr. In the 1840s a typical Merthyr family would be anything of up to four or five people; this was mainly due to more children surviving infancy, people living longer, immigration, and in particular large numbers of immigrants coming from Ireland fleeing the potato famine and unemployment that plagued their own country. In itself, the slum China saw at least 1,500 people congregated in its streets; stereotypically all of whom were "unhappy and lawless". The slum's inhabitants were the poorest of society and had a bad reputation. Their living conditions were some of the most squalid in Britain. The slum was based around narrow streets, badly ventilated and full of crowded houses that led to festering diseases. China became known as "Little Hell"’ and was notorious for having no toilets but open sewers which caused diseases such as cholera and typhoid. Lice were common, especially amongst workers who worked and slept side by side in the cramped conditions of the slum. These conditions were a concern for the health visitors and housing inspectors who visited its dirty streets. Some of the most memorable and detested dwellings in the slum were the cellars, which were mere one or two roomed houses close together, and often with an outrageous number of inhabitants. In the 19th century, people lived in cellars only if could not afford anything better; or perhaps they preferred being within four cell walls as they had proper shelter and were fed daily. Merthyr Tydfil County Borough Council is the governing body for the town and the County Borough, which stretches as far south as Treharris. The Member of Parliament for the Merthyr Tydfil and Rhymney constituency is Gerald Jones, and the Welsh Assembly member is Dawn Bowden AM. Griffith's funeral was said to have been attended by between 12,000 and 15,000 people 'I venture to declare', wrote one correspondent, ' no man in this part of the kingdom could be more popular in his day and generation than the Rev. John Griffith.' Among the nonconformist ministers present at the funeral was his old rival, Dr Thomas Price of Aberdare. Merthyr Tydfil had the largest Jewish community in Wales in the 19th century: at its height there were around 400 Jewish people living in the town. As the Jewish population had increased, the Merthyr Hebrew Congregation was founded in 1848 and a cemetery consecrated a few years later at Cefn-Coed. The Merthyr synagogue was built in 1875. The Jewish community has now gone from the town. Religious services stopped when it had a male Jewish population of under 10 men, the minyan (quorum) for religious services. In the 1980s the 120-year-old synagogue was put up for sale and ironically it became a Christian Centre and then a gym. In 2009 permission was granted for the former synagogue to be turned into flats. Merthyr, like nearby Aberdare, is known for its thriving music scene. The town has produced several bands that have achieved national success, including The Blackout and Midasuno. From 2011 – 2014 the town held the Merthyr Rock Festival at Cyfarthfa Park. Regular trains operate from Merthyr Tydfil railway station to Cardiff Queen Street and Cardiff Central. Public transport links to Cardiff are being improved in 2017. Merthyr Tydfil bus station is located to the north of the town centre, with plans underway (2015) to relocate it nearer to the railway station and create a transport hub. Where the sculpure of Eddie Thomas lies, was also the site of The Bethesda Community Arts Centre in the 1980s, hence; Bethesda Gardens.